The PCAAE General Council of Members, in its meeting on November 20, 2014 at the Philippine International Convention Center (PICC), among others, elected seven (7) additional members of its Board of Trustees, bringing the total Board membership to 14, enabling more diversity in terms of experience and expertise as well as representation from both the regular and affiliate members from a number of associations and membership organizations in the country. 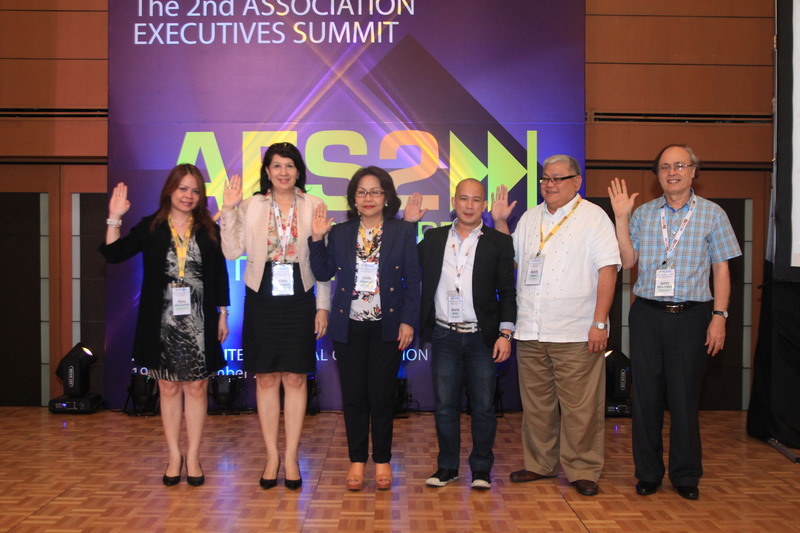 Elected to serve for three years were Ms. Gwen Albaracin, Philippine Marketing Association; Ms. Evelyn Salire, Philippine Retailers Association; Mr. Gerry dela Zerna, International Association for Volunteer Effort; Ms. Myra Sarmenta, Girl Scout of the Philippines; Ms. Linda Gonzalez, National Federation of Women’s Clubs of the Philippines; Mr. Sherlo Reyes, Fundraisers Network for Development and Mr.Butch Cabalu, Helms Briscoe. The new Board members join the seven PCAAE incorporator-Board members, namely, Mr. Octavio Peralta, Ms. Cora Conde, Ms. Arlene Orencia, Ms. Cecile Ibarra, Ms. Cristy Aquino, Ms. Sandy Lim and Atty. Alberto Reyno, all from the Association of Development Financing Institutions in Asia and the Pacific (ADFIAP).